Volkswagen has said that it's aware of a possible fault with its 1.5-litre petrol engine - and not ruled out a possible recall that could affect thousands of cars in the UK. The 1.5-litre TSI Evo petrol engine made its debut in the Golf in 2017 and is now being rolled out across the range as a replacement for the old 1.4-litre turbocharged unit. It's currently available in the Golf, T-Roc and Arteon models as well as other Volkswagen Group vehicles. HonestJohn.co.uk contacted Volkswagen after a report from a reader that his T-Roc 1.5 manual developed a 'kangarooing' sensation when cold - something we've also experienced in our SEAT Arona long-term test car. In a statement from Volkswagen in Germany, the company said: “Volkswagen is aware of reports from customers complaining that some vehicles featuring the 1.5-litre TSI Evo engine with manual gearbox can be slightly hesitant in the cold-running phase. When pushed about whether this could lead to a recall for all 1.5-litre Volkswagens in the UK, a spokesperson said they had "no further info to add to the statement at this stage". With the launch of the 1.5-litre engine, Volkswagen bucked the downsizing trend by replacing a 125PS 1.4 four-cylinder unit with a 1.5 four-cylinder producing 150PS. The move was intended to improve performance as well as provide better real-world fuel economy. The upcoming Volkswagen T-Cross small crossover is also set to use the 1.5-litre TSI Evo engine. My Skoda Karoq suffers from the kangaroo syndrome too. My Karoq does this warm or cold, 200 miles to Slough and back and it still hopped down my street. Hi there have been two software updates a third talked about but still no fix on some cars. There is talk of a flywheel problem and the way fuel is deliver cold who knows im not a automotive engineer the only thing I would say its not a easy fix been going on for over a year. Does this effect the DSG models or just the manual models. Both but less so on the DSG, the common opinion being that its there on the DSG, just being masked - so who knows what is happening inside that engine/DSG.. Although VW has admitted that they have a problem, they appear to be downplaying the extent to which it occurs. My Karoq has this issue and, from what I am hearing, there are many affected vehicles. At first, you assume that it's a question of the driver getting used to the car ..... then you realise that the problem is a design fault in the car. Major PROBLEM. As of this morning two VW Showrooms denied any knowledge of the defect, this has been going on for months. See T roc forum. Customers should now have the right to refuse delivery, and get a full refund if no fix available. VW is losing its reputation sadly. "Losing"? They've been knocking out unreliable tat for at least 15 years. "Does this effect the DSG models or just the manual models. " From all that I've read, it would appear that the problems are largely, though not exclusively, confined to manuals. I suspect that the condition is masked/smoothed by an automatic gearbox. My Karoq (with problems) is a manual. Our 68-plate Karoq with DSG does this when cold too. Only for the first minute or so, and then it's perfectly smooth. Interesting, my parents' 17-plate VW Golf with the same setup seems fine. Hi 1.5 T Roc DSG can not find any comments if effected, so it may not be as bad as the Manual ? But perhaps I should stay clear for now sad as love the car. cant risk it. My 18-plate with DSG is noticeably jerky until it warms up do I don't think the problem is just with manual gearboxes. Once warmed up I do think, subjectively, my previous Yeti with DSG was so much smoother and consistent. Those with a little knowledge of cars know that VW's earlier reputation for sound cars began fading many years ago. I think it has now plummeted. Couldn't agree more. And other German manufacturers haven't exactly enhanced their quality. And they charge quality prices. So - is VW Group still selling cars with this engine? Anyone know? Yes of course they are - that's another awful part of this.. harder now it's confirmed and public though.. Yes still selling the car with this engine worse its coming out with the same fault possibly suspect moving the cars on then pick up the fault when resolved on a recall. Rest assured VW would be screaming from the hill tops that after such and such a date it would be fixed, THEY HAVENT try and get a difinative answer out of them. I feel sorry for show room staff. And owners who suffer from this problem really sad such a nice car. But unsure if all effected thats the problem, they wont say, you have to pay your money and take your chance thats the 2nd problem. It looks like even the Audi Q3 may well be effected same engine one thinks. Big problem so many cars being built with it now. SKODA AUDI SEAT VW ouch ! I'm about a week away from taking delivery of a December built 1.5 TSI T-ROC. I don't really have a plan B if I refuse to take the car at this point, but all this talk of engine issues has me very concerned! Yes, you can reject the car - the law is VERY much on your side, even more so if PCP/Finance. Within 30 days super simple. 30 days to 6 months also quite forward if you are impacted - one email can enact the rejection and you can get your money back. they have the right to repair - but as they can't there is no need for this waste of time. You may have to pay some "wear and tear" but most quoted are getting full refunds. Check out sites like this. It's really not hard - a few key sentences.. I don't suppose it is possible to test drive the car? At least say you are rejecting the car if you cannot test drive it. You can reject the car go on to the T Roc Forum lots off people have, 30days is the time to reject really. But be careful if the car fails and you are shunted it could be game over. A week to go nothing to loose, If it was me, would drive the car see what happens the first week you may be lucky. Advise the Garage its coming back if it Kangaroos immediate refund some have had the money back in there bank in 2 hrs.tells you something. I would not buy a forecourt VW1.5 ex demo for love nor money. Knowing what I know, I would definitely NOT accept the car if it is a manual; I would be inclined not to accept a DSG either because I suspect that the automatic box merely masks the problem in most cases. Of course, this assumes that VW hasn't quietly slipped in a few changes to the engine. VW saying there not aware of any problems with the 1.5 Auto ummm I was thinking of getting one not so sure now ? Do not buy any car from VAG. Hurt them where it hurts most - in their pocket. My experience with a Golf GT manual with the 150ps engine is not a Kangaroo issue but a hesitation / hiccup (like a flat spot) once drive is taken up in first gear where it momentarily loses power and then takes it up again. It happens when the engine is hot or cold. Traffic queues with stop start driving are very unattractive. Yep, get that too on my T-ROC 1.5... makes hills, of which i have lots locally a real challenge. Often tailback behind me when driving home! Worried too about people goign through 2 clutches after months of driving! I am very sure that VW Head Office can tell from your chassis number if you have a problem or not. The PR of them charging you would not help - thats insane. Some people with the problem on the TROC forum were told their dealers found no fault - even when the did. You can get an independent view - and if you reject the car they will then refund you - so that might be an option if really necessary. Given they've now publicly acknowledged it - surely they will rethink it for you? Have a golf sv 1.5 dsg which hesitate starting off then jumps into second quickly causing a jerk, 2-7th is fine, stop start queues not good especially when cold, old golf 1.4 dsg much smoother! The smoother way is to let it engage first then second without throttle then accelerate which is not good getting into a gap in traffic! I have same problem with T roc 1.5 still. Have been back to dealership twice. First time told to adapt my driving style (!) as nothing wrong. Second time after me creating a scene they supposingly conducted a software update. Result? No difference ! Considering getting rid of unless VW come up with something. Anyone any ideas how long till VW come up with a cure or will that get blamed on Brexit !! They've told me there is no update available yet, so that seems like a bluff. Consider a rejection - getting all your money back. Several people have done it - see my earlier post if you need more info. Quite simple, however much VW may try and put you off, you're well protected and they don't have a leg to stand on. I'd rather they fix it but it doesn't seem that likely anytime soon..
Hi Im just about to pull my order VW have said today a software fix has been issued two in fact but not always cured the problem some yes some no, the question is for how long and whats it doing to the car ? They are a waiting third a from the factory to be advised, but and its a big one no date. Look at T Roc focus its been going on for 16 months so not looking hopeful anytime soon. It really needs a clear statement it will be fixed by ? this is the problem, recall on. But I dont think they know ! Started with the poor quality timing chains snapping, dry clutch dsg transmission failures, and now this, vw dealers in denial and treating customers like children, I cut my losses and bought a Mazda. peter what car did you have I am looking at the 1.5 DSG T Roc but don't think I will after all this. Wish I had bought the CX-5 instead of the Karoq 1.5 TSI. The kangaroo issue completely spoils what is otherwise a great car. Agree with other comments that it's nothing to do with a cold engine. After driving back from Scotland the car still Kangaroo'd in London traffic and stalled as well. Only solution is to slip the clutch and increase the revs. Will the "fix" be available before my clutch goes? There talking of a fix March, then April now May two previous attempts over the last 11 months not worked kicking the can down the road one thinks, yours is a bad un I would reject if it was me. Danger if the clutch goes that's ware and tear so you will pay probably, no, 30 days from purchase easy reject after that gets more difficult as time goes on, get rid and then see it on the forecourt a week later. Our Karoq 1.5 DSG does this when cold. Only for the first minute or less, and then it's perfect. I assumed it was the DSG transmission pre-warmup, not the engine, but this suggests it is the engine, but affects all transmission types. i took delivery of the 1.5 DSG model and im having the same issues, its fine when its warm and been running a while, but in cold, damp or wet weather it kangaroos and surges and also lacks response from the accelerator pedal. It can be quite scarey when it decides it doesnt want to move! Im booked in for the 31/1/19 but not holding my breath for a solution! They've told me there is no solution yet... people have said they've heard April - September timeline..
New software up date planned this will be the third no date, it seems clutching at straws really sad as car looks good. This has been going on for over a year. ??? Besides the kangarooing my T-roc 1.5 evo also has intermittent self acceleration again when cold. Can happen any time again 1st to 2nd. Foot off accelerator and it self propells. Told VW deny problem even thou others on forum have reported. That sounds very similar to an engine temperature sensor intermittent open-circuit fault. The ECU thinks the engine is running very cold (only for a few seconds) and pumps a load of fuel into the plenum, thus making the car accelerate of its own accord. Had this problem on another make. Remember sensors are not unique to VW, they are generic devices, so can affect any model? I noticed this very occasionally when I first got my Seat Ibiza 1.5 Evo. But it hasn't happened in months. I have an Arona with the 1.5 engine. To be frank I hardly notice it. 68 plate golf 1.5 tsi evo R line going into dealer on Monday to have this checked...... I have been told I will be charged £60 if they can’t find anything wrong (and going by the comments here I expect they won’t admit there is a problem) - as such it would be good to have the VW acknowledgement stating that there is a problem. Is this available online? Do that and also email "executive.office@volkwagen.co.uk" - the CEO's office. They have acknowledged the problem and they will give you a named Customer Services Manager who will help things with the dealer and avoid the "we haven't heard of this problem" nonsense you may otherwise have to deal with. Worked for me and was advised by a helpful chap on the T-ROC forum where there is a lot of discussion and examples of the problem/varying VW treatment. If you need a reference number of someone with the same problem - people have kindly posted theirs on the forums too. Speeds things up. Have none of it VW know exactly what is going on, if you go to the T Roc Focus page there are loads of history on this its gone on for over 12 months. Two software updates and still problems, They have a big problem sadly they should switch straight back to the old 1.4 no issues. Love the car but no good if Engine is rubbish. Phone VW head office get a case number and refuse to pay, they may have a soft ware update again but it doesn't work on some cars, and another planned if indeed that's the problem I don't think they know themselves or keeping it quiet. VW uk are trying but nothing coming out of VW Germany on end date fix there lies the problem but to carry on churning the engine out without clear clarification is bad. As a starter, you could take a screenshot of the HJ article, print it off, and take it into the dealer. I have obviously been very lucky and have great sympathy for all affected by this issue. I have had my Karoq 1.5TSI manual for 8.5 months and 7,000 miles and have never had a moment's problem with the engine. It has other strange traits like when it suddenly perceives roadside vegetation as a collision threat and goes into emergency stop mode (only very occasionally), but happily no engine problems as yet. Took delivery of my 1.5 Passat Gt DSG 7 weeks ago had a few issues DAB dropping out and a rattle around the panoramic sunroof, it appears to be sorted. Not had the jerky engine problems that has been experienced here but very concerned by the news. The car is fully loaded and a beautiful car to look at but concerned with long term use. Keeping an eye on the progress and updates. My April 18 KAROQ Manual 'hunted' at 'take-off' and I presumed it was because of my driving style - having had DSGs in my previous 3 cars. The problem eased gradually and is now hardly noticeable. (3500 miles). One thing worth saying is the car was filled with 'ordinary' petrol on collection but I have used SHELL V Power since. I wonder if using this fuel has eased the problem ? Skoda Karoq 1.5 manual - I am using 'best' 97 octane fuel, I've tried every combination of driving mode Eco/Normal/Sport; air con on/off; stop start on/off; auto brake on/off; pulling away slowly using the anti-stall even waiting for the engine to reach 90 degrees before moving off but the problem persists, I've been a driver for 45 years and its a brilliant car if only this could be resolved, I'm thinking that rejection of this vehicle and replacing it with the 2.0 diesel may be my next move. I am very grateful to Honest John as the rest of the motoring press seem to have kept very quiet despite a number of complaints over many months. I've had a 1.5 Golf for over a year now, never had any such problems, a lovely smooth drive. My Octavia 1.5 manual (delivered last August) has been fine over the 8,500 miles I have driven it. It hasn't been back to a dealer once and performs just fine. I am pleased I leased it though - if it goes wrong, it ain't my problem, Skoda leasing can have it back and I'll get something else. My octavia with 1.5 tsi engine and manual gearbox doesn't have this 'charactarectistcs'. It was built in December 2018. No kangaroo efect. I wonder why is it so and what can be the difference between the models. Do people still buy VW group cars? I am amazed after the lying and cheating over the diesels cars . Are they doing teh same over petrol ones too? Who knows it may be due to incompetence . Yes, here we go again with VW Group. I didn't have the emissions fix done on my Yeti because of the problems that caused, but VW denied any problems. What also annoys me is they expect their staff to lie to customers, not good. With all the problems we hear about on HJ and elsewhere relating to VW , why on earth does ANYONE ever consider buying their cars? It really is an inexplicable mystery, up there with the origin of the Universe. Is the 1.5 dual injection? The E888 2-litre engine was dual injected because direct injection doesn’t work well under low load or when cold, so it also had port-injection to use in those circumstances. The new engines just being launched have had this removed as there are now particulate filters, I wonder if this could be a culprit for the poor performance of the 1.5 under low load and cold conditions? Got the same problem with my A3 took it back to Stoke AUDI a couple of times they said it was a anti stall device, what a load of cobblers this is the last VW/AUDI for me. After seven VW cars, Yeti, 3 and Octavia 4, this is the last VW group vehicle. 1640 miles and I sold my octavia 1.5 tsi to motorpoint, low and behold another octavia 1.5 with similar life in the Motorpoint supermarket. Bought a Hyundai Ionic and no further problems. Vw quality,just gets worse! Don’t touch their products now! The irony is that the 1.4 it replaced was a gem. We test drove an Audi Q2 last year, and it was a 150hp model - not 125 as the article states. It was brilliant. I didn’t understand then why they were replacing it, but now I wonder if the newer engine was cheaper to manufacture. They’ve obviously learned nothing from Dieselgate about how to salvage customer credibility. I'm not 100% sure about this, but I believe the 1.5 150BHP engine replaced the 1.4 1509BHP because it introduced ACT - Active Cylinder Technology, where 2 cylinders shut down under light throttle load. I have also read that the 1.4 engine is said to be the sweeter of the two, with better 'pull' through the rev range. The 1.4 in the Audi was a CoD design, which we decoded to mean Cylinder on Demand. Much the same thing as ACT I suspect. All the early reviews of the 1.5 were puzzled why they’d replaced the excellent 1.4. Now, we can only speculate why, but my guess it was cheaper to make, or from a new plant with cheap labour. My 1.5 T-roc kangaroos badly and doesn't run smoothly in any gear when warming up. It seems like there are slightly different symptoms with different vehicles but the the common theme is that there is a big problem. It's like trying to drive a car with a manual choke from 40 years ago if you forgot to pull the choke out! Also noticed a strange trait where it takes ages (up to 15 mins) for the water temperature to reach normal and temperature gauge can sometimes go back down before it reaches normal. Never seen this on a car before.For the record, mine was an October build and November delivery. Having checked out a few dealer ships, and the comments made on the T Roc forum, called VW HQ. You could some up, the problem not all cars effected but no way of knowing your new pride and joy will be. The fault can be really serious on roundabouts. Some Drivers being told to change there driving style difficult when you are stopped on a roundabout. Or screaming the engine to pull away. Dealers contradicting themselves, first I have heard of it, and we sell loads cars. VW confirming a problem, but not sure when fix available this has been going on almost a year. Can not tell you if your new car will be effected. Customers pulling orders hassle free that tells you something. This 1.5 engine used across the VW Group, SEAT problems, Skoda problems, and it looks like the same engine is now used in the new Audio Q3 ohhh dear. VW must come clean officially, but are desperate to keep it under wraps just say its fixed or not on models after x. If NOT FIX IT. If the car has fully stopped, pulling off in first doesn't seem to be an issue. However, imagine a give way junction. You have almost stopped but the car is doing below 5mph, you change into first to get away and then it happens. Zero power. So essentially I could make this happen. I thought to myself that I could live with this as I would just not 'make it happen'. Fast forward 30 minutes on way to supermarket with kids in car.... Approaching lights on red, thinking to myself, I hope they don't change to green before I've stopped. Sure enough I was front of the queue and had almost stopped, the lights changed to green so I changed into 1st gear. The result was a recovery truck almost rear ending me because it happened again. 100 metres down the road, the next red light changed earlier to green. I changed down to second and the same thing happened. Cue irate recovery driver giving me a piece of his mind, not quite a piece of his truck. No way is this acceptable. I've emailed dealer who is yet to respond. My next trip will be taking it back and rejecting on a quality, or lack of, issue. Not to mention potentially catastrophic consequences. I own an 2018 ibiza since december 2017. 1.5 tsi evo. Manual gear. Car has 25k miles now, and I dont recognize this problems. Sometimes when it's cold its shaking a little in first gear, I think it's a problem of the ecu. They want to made the engine as clean as possible. If there is chiptuning available it will be fixed I think. I own a new ibiza FR since December 2017. 1.5 tsi evo 150. Manual gear. It is not critical, and it remains easy to adapt driving habits to avoid this oscillation in most of the cases, but it is not comfortable... Especially in traffic jams... Seems to be slightly reduced in sport mode, compared to normal mode. Took delivery of our 1.5 tsi EVO T Roc in early December, right from the start it suffered kangarooing when pulling away in 1st gear but I put this down to my control of the clutch and throttle in this new car and would adapt to it. Sorry to say this has not improved and in fact it can also suffer from loss of throttle in both 1st and 2nd, very dangerous at junctions and round about. Reported fault to my dealer and they took it in, gave me a loan car, diesel, which performed perfectly with very smooth gear shifts in both 1st and 2nd and no loss of power. Meantime the technicians at the dealer got my car to fault in their yard, didn’t even have to go onto the road. Have spoken to VW customer care who eventually gave me a reference number regarding my complaint. They just told me they were aware of this fault and were waiting for software which my dealer would then advise me to take car in to get updated. This was over a week ago so phoned them again today for an update but was told my case was closed! After getting a bit irate with the guy they have now reopened my case and somebody will get back to me within 48 hours. Not holding my breath. Known issue, flat denial, VAG group - Ring any (emissions) bells!? You will see plenty of big discounts across the VAG group on cars with this 1.5 TSI EVO unit. So despite disgruntled public, they in fact step UP the effort to peddle these motors out onto roads. Now it take 4 to 5 years to develop a new engine. The emissions scandal occurred in the middle of this motor's development. hmm, link!? (OK, emissions was primarily diesel but would you trust VAG when they say a flat no issue to their petrol units cheating tests as well!? I'm of to my local dealership Friday because VW have a deal going on and was hoping to exchange my 1.4 ltr Golf so shall see what they say about the 1.5 ltr issue. What did they say? I am meeting my dealer this week. Update. Took T Roc back to Dealer for the third time with this problem. Basically whilst they acknowledge my reported fault of kangaroo symptoms they haven’t a clue how to fix. They supposingly spoke directly to VW technical in Germany but no clarity on a fix. Spoke to VW customer services who played party line of speak to dealer. Another problem was flagged by dealer ! It appears there is a recall on T Rocs . Seems rear window spoiler comes apart at motorway speed !! New one is on order for me. But I have received nothing by way of letter email or phone call regards recall but checked DVLA website and it’s on there. Suggest all owners check there reg on DVLA site. That’s it for me. VW T Roc is being sold. Yes I will lose money I can’t afford but this whole situation is appalling and enough for me. Hate the car. you don't need to sell it - you can return it for 100% of what you paid.. read the Troc forums on how to.. you should NOT be losing money! Since it is evident that this problem has been around some time and the "imminent" VAG software update (affecting VW, Skoda, Seat and Audi) has not yet materialised might I suggest that all affected owners add their voice to the many VAG forums (of which there are many) that cover their vehicle. Hopefully a greater groundswell of customers commenting on their experience will focus the manufacturers' minds to prioritise this issue. I am assuming of course that VAG actually follow the forums? What I find strange is that this has been going on for a few years, yet none of the motoring press picked up on it. All they ever said is how marvellous any VW Group car is. I think they are all in their pockets. Submitted rejection of 3 week old ateca to VWFS with flatspot/kangaroo issues. They ignored rejection and have opened a “complaint” instead! Which could now keep me waiting for up to 8 weeks to investigate! I’ve got written confirmation from technicians at dealer of fault and exercised short term right to reject. Can they just ignore this? I think the same, but they have completely avoided the whole point of my letter and instead opened a complaint. I have replied and told them to read the letter very carefully before their next response. Consumer rights you are entitled to full refund see TRoc forum give official letter of rejection they can not refuse. Unfortunately, even though they have verbally accepted the rejection they have not "officially agreed" according to the executive dealing with my case and is currently unable to get authorisation from her manager to proceed with refund... "Entitled to 8 weeks investigation time" is the oft repeated phrase to any of my queries. I sincerely hope the ombudsman passes on the evidence I provide, to the FCA when the time comes, as SEAT VWFS seem to be able to ignore the law as it suits them. If this saves one person from buying their junk I will sleep better at night knowing I will eventually get my money back and may also save someone else's. Full refund now made by Vwfs along with excess expenditure such as insurance admin fees, etc. Unsure if threat of legal action and becoming “loud” on twitter helped the process along the last couple of days! The Briskoda Karoq thread is now at 53 pages. The engine has a fault - admitted to HJ - and the dealers don't have a fix - therefore the car can be rejected - it is the dealer's responsibility to sort out as the transaction was between the purchaser and the dealer. Speak to your local Trading Standards office and they will inform you about the Consumer Rights Act 2015. It is diabolical that VAG is still pushing this engine out despite knowing that there are issues. Apart from HJ, the motoring press appears to have been gagged. I've noticed that most of the motoring press have carried SEAT advertising on their back page the last few months. VAG seem to be pumping a lot of money into these publications and the top cars in each category... VW, SEAT, SKODA... And most of them with the 1.5 tsi. Coincidence? Buy Japanese. I have two Japanese branded cars, Honda Accord and Toyota Avensis for the past twenty years, both made in the UK. Absolutely no issues, even though both did 120k each. Was just about to buy Audi A1 Sportback with 1.5 engine. I think HJ has saved me a lot of grief. Thank you. Can anyone please confirm if the fault/misfiring/hesitation only applies to the 150 PS engine, or does it effect the 130 PS version as well? Yes, we have the TSI 1.5 EVO PS 130 in a brand new Golf and have the exact same problem as described at the head of this the article (hesitation when cold). I have reported it to our dealer and they confirmed it is a known issue with a software fix due in Q2 of this year. We do not have any symptom that could be described as kangarooing or some of the other more dramatic affects described on here, so would suggest these are indicative of a more serious problem. VW have no fix planned, could be Q2 but no date, two have been tried over the last 11 months this smacks of fobb off consider rejection. Best advise I can give. I bought this car new in November 2018 and it’s covered 1500 miles. I too have suffered the same kangaroo issue When the engine is cold and also poor throttle response with jerking. Like other posters, the garage last week advised there is a known problem and VW are working on a fix. My wife’s 2018 TROC manual (same engine) does not appear to the the same problems. However I also seem to be suffering from lower than expected fuel economy. I struggle on a city type cycle to get over 35/38 and have even tried using the eco mode with little effect. The garage simply said nothing on diagnostic and to do a tank to tank check. The first showed 38 which is about 10 lower than expectations. My wife’s TROC by comparison easily gets over 40 and on a run where I got 39, it managed 50! I have written to the executive as suggested regarding returning the car and will see what happens. Really disappointed as the car has some nice features but has not lived up to expectations . My previous Polo 1.4 Blue GT was awesome in terms of economy and performance.....s*** of a shovel as I used to describe it....this one is nothing like this even in sport mode. When there are ao many people complaining of issues and having problems, comments like this are unhelpful. For some it is not a minor problem at all and it is an issue affecting an engine that is used in more than 10 models across VAG brands, not just the T-ROC. If you don't have problems, well great, but why don't you be quiet and enjoy your vehicle instead of commenting and dismissing it as a serious issue. I have recently had my golf back to lookers garage with this problem. the car is only a few months old and this problem reported one week in. Lookers tested it and agreed and said they were awaiting a fix from VW? They cant tell me when I will get the fix and I said the response was unacceptable. Lookers said I had to take it up myself with VW.... it was not their problem!!
" They did not build the car" yes but they sold it to me?? I am unwilling to drive a car with a fault that they don't have any idea when they can fix or even if they can fix it so will be seeking to terminate my contract asap. I have registered a complaint with VW and VW Finance. Not happy with Lookers negative response at all....shocking custom care !! Vw Golf DSG 1.5 EVO 150 bhp DSG gearbox 2018. Has anyone experience of issues with the kick Down? I was recenltly travelling along , the gearbox was in D7 and I knicker down to accelerate. The gearbox dropped 4 gears to D3, revs went up to about 5000 but there was no feeling of acceleration at all, just revving. Just wondered if this is normal? I had a VW Polo Blue GT and never experienced anything like this at all! Can it be because at 5000revs the torque is way too low? The maximum is acheived between 1600 and 4000rpm then is starts to drop rapidly. Yes, I have experienced the odd OTT kick down on two separate occasions now. The gearbox has kicked down from D5 to D2 when I wasn’t even accelerating hard. In addition, when accelerating gently in D4 today and driving on a flat road, the engine revs went up to about 5,500RPM but the car did not change gear up or down. It sounded like I was hitting the rev limiter so I eased off the gas for a few seconds. All fine after that. I drove about 180 miles today so the engine was warm, these issues were not experienced when cold. My car is a Golf EVO 150 DSG and I have put 4K miles on the clock so far (I got the car in Nov 2018 and it was built in August). Due to meet VW dealer this Wednesday to discuss exchange of my excellent 2 1/2 year old Golf Estate 1.4 TSI Manual for a new Golf Estate 1.5 EVO TSI 130 PS Manual. Saw article in HJ's Telegraph column this week and found this link on Google. Have been driving for 50 years and the last thing I need is a car that hesitates at roundabouts. This problem sounds really dangerous and I am surprised VW continue to sell this model as it is. Does this problem apply to all 1.5 TSI engines because it sounds as though I would be better off sticking to my 1.4? Bought a new Skoda Karoq 1.5 Tsi 150ps Se L Petrol Manual on 13 Feb. Pity had not read this and other forums first and just relied on best buy guides. The engine loses power unexpectedly. This has happened several times, including pulling away from a junction, turning into a junction and going around a roundabout. It has happened with the engine cold and warm and in various gears including at least 1st and 3rd. This is a serious risk as three times the car was unable to complete a manoeuvre across a line of traffic and blocked the traffic flow. Fortunately, on each occasion the oncoming traffic was able to stop or go around the vehicle in time. But on other occasions this could cause a serious accident. Have had the car recovered back to the dealer after just 39 miles of driving and asked for a full refund as its within 30 days of new. Note, this isn't just a 1st gear problem, as we had a loss of power at 30 mph as well. Any sudden loss of power is very dangerous. The DVSA needs to take action to get this vehicle off the road until fixed. "The DVSA needs to take action to get this vehicle off the road until fixed." Many of us have reported the problem to the DVSA - you should do that too. I have found that double de-clutching 1st to 2nd gear reduces the problem significantly in my Manual 10 mth old petrol KAROQ. The problem doesn't appear when reversing. Good news that driving your brand new, modern, state of the art, expensive motorcar as if it was a vintage automobile is helping your situation, We have been far too spoilt with synchromesh for the last 70-80 years! ;-) Hit VAG where it hurts, In their pockets. Teach them a lesson for refusing to acknowledge the issue for so long and continuing to sell faulty cars to unsuspecting motorists. Shame. Couldn't agree more. My inputs to this issue were to suggest ways of mitigating the problem for others. I could bang on Skoda's door and demand a replacement loan car until a fix is offered but I don't like the idea of my car stored indefinitely outdoors when it could be garaged at home. I love the car and, despite a few stalls, have adapted my driving to cope (for now). That's fair enough and I genuinely hope that your methods of mitigating VW'S faulty engine don't land you with a hefty bill for replacement clutch or flywheel at some point down the line. I'm pretty sure from my experience that VW or it's guises won't give you the same chance that you are giving them. Of course it's your choice whether to put up with, and pay, for a fault with the car you love. Yep..be careful with the Clutch replacement issues we're seeing on the forums - some within 700 miles. We could assume they are due to the "adapted driving style" and already VW are refusing to repair those..
Our 68 1.5 EVO R Line does this sometimes. It’s a DSG. It’s not been too bad but it seemed as though the heavy rain was affecting it yesterday. Otherwise it’s a fantastic car which we’ve had since last October. Still only done 1600 miles so I suppose it could get worse. Is there a fix if I report it to the dealer? Same issue with Audi A3 '35' which is their new offering with the 1.5 TFSI petrol engine. Kangaroo in 1st gear. Took technician out for a drive and he said it was 'normal' - infuriating. To be clear though - the technician's opinion isn't really relevant. They will have been briefed to say that. The car, if its like my T-Roc has a clear fault and under the Consumer Rights Act 2015 you are entitled to return it, for a full refund if done within a reasonable period. It's not an opinion here - its the law! If you want to cope with it - then fine -but you don't have to.. Check out the forums for advice - inc a specific post on the process I followed to Reject mine for a full refund.. I have a Golf GT 1.5TSI Evo 150 with the DSG gearbox, and in extremely cold weather of below 2 Degrees Celsius, the car at low speeds starts jerking at around 1500rpm. When I leave work, because I car park on site and there is a 15mph speed limit, the DSG gearbox goes into 3rd gear and kangeroos. To overcome this, I have to put it into manual mode and drop it down to 2nd gear at least until I leave site. It is fine any other time. I need to take it in to have its first service, so I will mention it to see what they say about it. I have taken my car in for its service yesterday, and was told by the service department that they are aware of the problem, and VW don't yet have a solution, but are working on it. They said I am on a list, and once a solution becomes available, I will be contacted to take my car back for repair. Why are so many people moaning about the dodgy 1.5 engine - but doing nothing about it??? Know your rights under the Consumer Rights Act 2015 and act, for goodness sake! DO NOT allow VAG to walk all over you and fob you off with lies and excuses. My 1.5 manual Karoq is now back at the dealers and, until such time as a fix is found, I have a diesel 'Scout' to drive around in. Many many people have done exactly that.. Rejected mine following the advice of several others who have done the same thing. I personally doubt any fix is coming anytime soon.. but wish you luck in your quest. For anyone who has got one and would like to understand the process to return it due to this - see my post on the topic here, based on my direct experience of doing this. I've had four new golf models now, current one a new se-nav 1.5 130bhp. I have to say, having driven many thousands of miles in these cars this new engine is nowhere near as smooth as the old 1.4 tsi unit. Agree with others comments regarding flat spots on power delivery. I can't see the 0-62 time being quicker than my old cars either, despite the claimed figures. I'll give the dealer my feedback when they contact me soon, only had the car 9 days. Seems trickier to drive smoothly is the best summing up. Good luck. Some have had improvements over extended periods but mine was too awful to keep. VW had nothing to offer and I was concerned I was damaging the clutch with how I had to drive. Have now moved to a non VW/Audi and I now have real "oomph" in 2nd and 3rd and can go up a hill like "normal" again. within 30 days you can return without even giving them a chance to fix it - but as they can't currently anyone can return the car within 6 months for a full refund. See the links above to the forum for more information. Obviously you may want to "adjust your driving style" but for me that wasn't viable or an acceptable answer after spending £20k+ ! Good luck whatever you decide to do..
All this has Put me off buying a 1.5 Karoq TBH which appeared to tick all the boxes..
My car is going back to the dealer for two days this week for analysis. The service guy did say another customer had complained of kangarooing. He said they might be able to sort it with a software change. In hindsight it was noticeable that all the cars in the showroom on special offer were the 1.5 eco paired to a manual gearbox. There is no fix and any dealer saying there is is just hoping. See the thread on this specific topic here and read about your options. Be informed. Personally, I rejected my car and they didn't ever see it/ test it - they can tell from the chassis number - so this "testing" is in my view just a yarn.. That means after 3 months I got a 100% refund and moved on. Some people are fine waiting, or adjusting how they drive - personally I think damage was being caused to my clutch/car which would have been very hard to prove in the longer term. I have been in argument with VW/AUDI now for 9 months, they will not accept liability and are calling it a 'comfort issue' they will not allow we to reject the vehicle and I have taken to the financial ombudsman. I have been promised there will be a 'fix' in April but that is not looking very likely at this point and I don't want a fix I want a refund as I was sold a vehicle that because of these problems I don't enjoy and I no longer want. A fault does not have to be a problem that renders the car undriveable, but it has to be significant. According to the Act, the ‘goods’ (i.e. – the car) must be “of satisfactory quality, fit for purpose and free from any defect”. ^^ It seems they don't wanna take note of this and are trying to get around it by saying it's not a fault. How can VW not accept yours - but accept mine and others? That's just plain wrong! Good luck fighting them - assume you have contacted the VW Exec Office - who are fully aware of the issue and accepting various Rejections every week - including mine! I know with Finance - its the Finance company you Reject to - not the dealer - but even so the term "comfort issue" is not even a real thing - its clearly a significant fault - completely and 100% accepted by VW for me and others. Was about to order a Karoq 1.5 SEL this week when I saw link to this forum. Have now decided to wait and see if VW sort this out. May need to look for a non VW alternative. In November 2018, there was huge offers on Golf and T-Roc 1.5 130 bhp models. I have ordered a Golf 1.5 130 DSG model in November, it is only in Stage 2 with factory at the moment. The retailer confirmed the delivery in April at time of order, but now saying there is no date. I am in big trouble now as my current lease is finishing in April and I need to go with short term lease or rentals until this arrives. But is it worth waiting as many people have problems with 1.5 engines? Bought a new Audi A1 sport back 35 tfsi manual with this engine on 28th February. Car suffers from this issue, power drops off then picks up when pulling away in first gear. Didn’t realise how widespread this issue was until I read this. I have just emailed the dealer rejecting the car. They are due to examine it next week and I post how I get on. Disgraceful that the VAG group are still selling vehicles with this engine type. The VW technical information about that issue (TPI 2048749/5) is opened since oct'2018. No solution on the horizon for now. Never buy a new VW that has not been in production for at least 3 years. They seem to have cut back on testing over the last 10 years and leave the buyer to pick up the eventual bill! The Golf Mk6 GTI initially had tensioner and timing chain problems and intake manifold issues that was not fully sorted for 3 years and no recompense outside the warranty period. The 1.4 twin charger engine initially had a number of problems including poor quality pistons,oil consumption issues and spark plug problems. At least on this occasion with the 1.5 EVO they have admitted there is a problem but not withdrawn the engine from sales at they should until it is sorted!! Car taken in to dealer, confirmed engine fault same day. As they had given me a courtesy car I declined their offer to fetch it back, as there is no fix. Told VW UK the same. To be fair the dealer has been helpful on my problem, currently awaiting a new car with a different engine. Did the dealer confirmed the issue is related with technical information TPI 2048749/5? Not yet, will try to find out later though. Having spoken to VW UK I think this could be a big problem for a lot of owners though. My 1.5tsi manual Karoq is still with the dealer awaiting 'the fix' while I am driving a courtesy car. I was told last week (27/03/19), by Skoda UK and my dealer, that the fix was now available. The dealer rang the next day to say that the fix had since been 'withdrawn'. Earlier this week, Skoda told me that the fix was again available, but my dealer hasn't called me - I suspect that they are checking themselves to see if it works before they bother me again. As before, my advice to the world is DO NOT buy a VAG car with the 1.5 petrol engine - either manual or dsg - until we know that the problems have been properly sorted out. I bought my Vw passat GT1.5 tsi DSG last Sept and took delivery at Christmas. It has performed fine no issues with kangarooing but am conserned about the resale and depreciation on my car because of this engine. Could I still reject it and if so how would I go about this, I can not understand why there has not been a recall on this engine type. You can't "Reject" a car without a fault..the Kangarooing is such a fault and many (including me) have Rejected theirs due to this. There are many threads and links to how to reject a car in the UK - but if you do not have a fault then I'm not sure how that route would be one for you.. I collected my T-Roc 1.5 TSI January 2019. I was very pleased with the car, I thought it was my driving style whilst getting used to the T-Roc. As so many other comments, I have the same issue with the kangarooing when mainly cold but can happen when warm, also stalls when pulling away from traffic lights and junctions, with other drivers using their horns, abuse and near on rear end shunts a couple of times, luck has prevailed so far. I reported this to the dealer end March who advised that this was not a common problem. My T-Roc was looked at by a technician on 5th April. The technician was able to replicate the fault who then reported this to VW and was advised by VW that it is a software issue of which an update will be available within the next 2 weeks. The dealership will advise when I can take the car back in to have the update. Hopefully this will resolve the issue. Don’t get your hopes up, some owners have been waiting for over a year with no fix so far. I'm sorry but that line from your dealer is a pure straight out lie. This is a common problem but many dozens of people. VW are fully aware. We have many dozens of pages in the Troc forum alone. That's just plain dishonest of the dealer..
www.trocforums.co.uk/viewtopic.php?f=8&t=266&a...0 for the latest posts in quite an old thread now..
That line has been used for around 5/6 months - "fix within 2 weeks". If you look at the Skoda forum there are several on there who had their cars booked in then at the last minute - the software update was withdrawn. I can't see this being fixed anytime soon..some people have had the problem for a year now.. VW are just stalling (yes in my case literally..). Car returned, refund received. Within 30 days you can get a full refund..up to 6 months you can too- they have to be given the chance to fix it - which clearly currently they cannot..
Had my Karoq first service today 10 Apr. (Heritage Yeovil) Svc manager told me that an update to software was released last week. Salesman friend told me it does work !.I am booked in for 'software update' so it is not a recall or other definition of solving a problem but a software update ! I have asked HJ to get statement from VAG. In the link above there are various people who were told the same and then had sessions cancelled as the update had been withdrawn.. Guess we'll find out soon..! 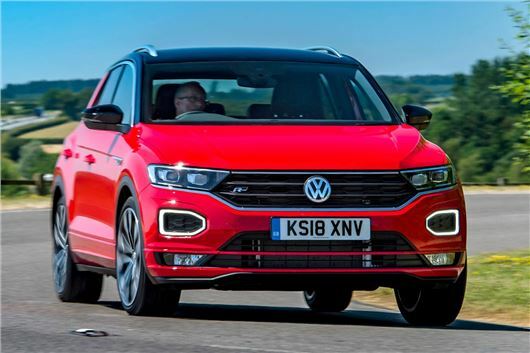 A survey has been compiled by members of the Volkswagen T-Roc Forums and is being conducted in response to the 1st gear 'kangaroo' problem reported by T-Roc owners. The results of the survey will be made available to forum members at a later date, with the aim of raising public awareness and to encourage Volkswagen to be more open about the cause and extent of the problem and to provide an honest outlook for a remedy. Owners may also find the results useful in any discussions they have with dealers or Volkswagen. Our 1.5 T Roo bounced along from the date we picked it up in August 18. Rang dealer within two weeks, was advised we need to report to VW which we did. VW said to book into dealer to get it checked out. At this stage we had spotted the T Roc forum and noted a software update was due so we hung back and hung back.....loved the car apart from this major fault. Seven months later we finally had enough and booked into our local VW dealership where surprise surprise, they had no reports of the issue! The main technician came out, drove the car down the side road and held his hands up in the air and agreed we had a major issue. Dealers submitted report to VW who rang us asking what we wanted to do as there was yet another imminent software fix due! We asked for the car to be rejected. Bearing in mind we had the car for seven months now, we were expecting a battle, however, we were very pleasantly surprised to get a call from the dealership agreeing a FULL refund of our money ( paid in full ) and also a 100% refund of the add on products we bought from new! Now happily driving a new Hyundai Tucson 1.6 TGdi petrol - fantastic Car! See my comment on 10 Apr. I have been following the t-roc and briskoda forums (fora) and decided to speak to Skoda UK this morning because I lost confidence that the software update was available for the Karoq. I was informed that an update was NOT available ! Sadly nichewidgets comment same day and many others show that this is the 'trend' - announce an update then cancel.